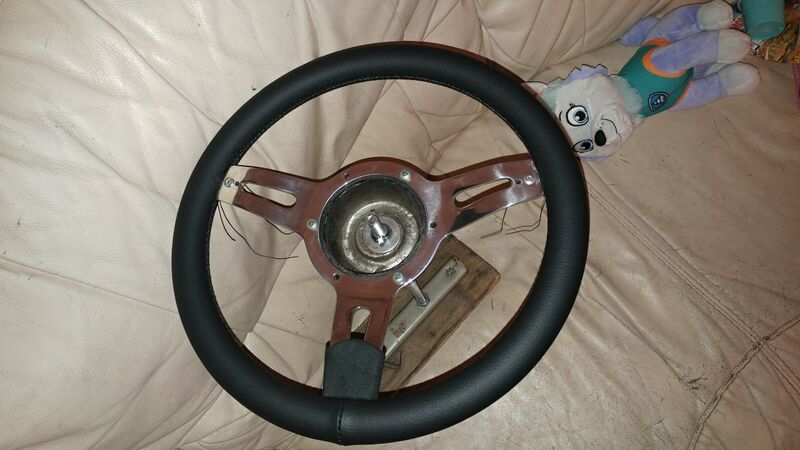 Sorry, but your link brings up a whole page of google images with all kinds of Classic Mini Steering Wheels, including some Bakelite ones. There are a few motor trimmers about who will do Steering Wheels, but not all will do them and not all can do them well. Be prepared to pay too, as often it costs more than buying a new wheel, but all the same, do some ringing around, you might get lucky, however, before handing over your wheel to be done, ask to see (in the flesh) a sample, I would suggest not going off some photos. 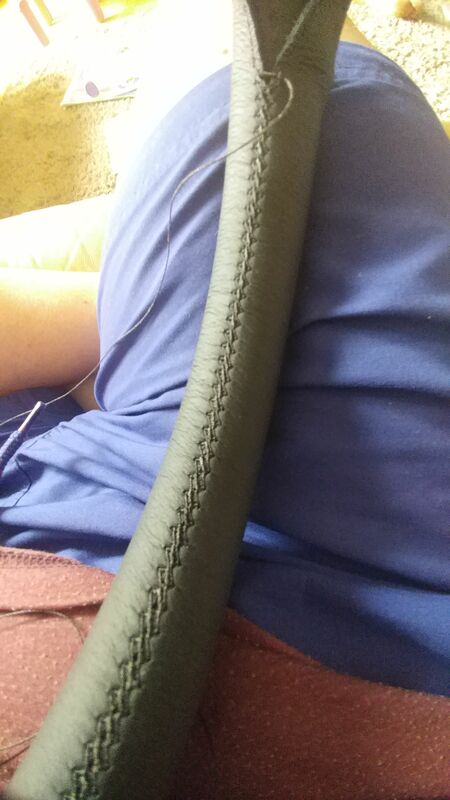 Look carefully at the stitching and how they have ended that and also any spoke covers. The Devil as they say, is in the detail !! I was watching the new series of 'salvage hunters classic cars' last night and he had a lancia delta integrale steering wheel restored by this fella, appeared to make a nice job of it. 'Pride car custom' if you zoom in on his jumper. Might be worth contacting. have a chat with Mid England Retrims very very good work but IIRC 70-80 quid could well be different. there are two face book pages both his but maybe one got locked but shed loads of pics. Its not at all easy, and 2 colours would make it even harder. pink stitching to go with the trim. no trade connection just a happy customer. he did some camper van bed cushions for me. Drew Pritchard - that the chap you after ? That is very impressive work Carlos. I 'doff my hat to you mate. Edited by gazza82, 19 January 2019 - 05:34 PM.